Photos From Robb & Elissa's "July 4th 2004 Trip"
Hersheypark has a varied coaster lineup, and everybody is sure to find something they like. SkyRush is considered one of the world's most intense coasters. Storm Runner is a short but unique launched coaster, and Lightning Racer is a smooth and fun racing wooden coaster from GCI. 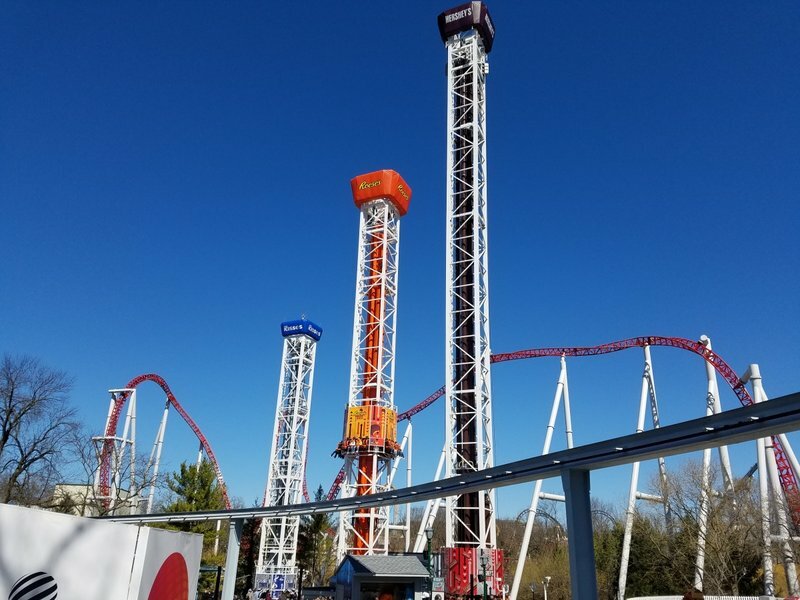 Great Bear and Fahrenheit tend to draw the largest crowds, but Wild Mouse and Laff Trakk are the lowest-capacity coasters. The park has a lot of flat flats with varying levels in intensity. Also, don't forget to visit Chocolate World with lays outside the entrance gates for a relaxing dark ride. Here are a couple of recommended tactics to conquer all the coasters in one day. •Most coasters will be a walk on as a good number of the guests in the park will be out in the Boardwalk area. 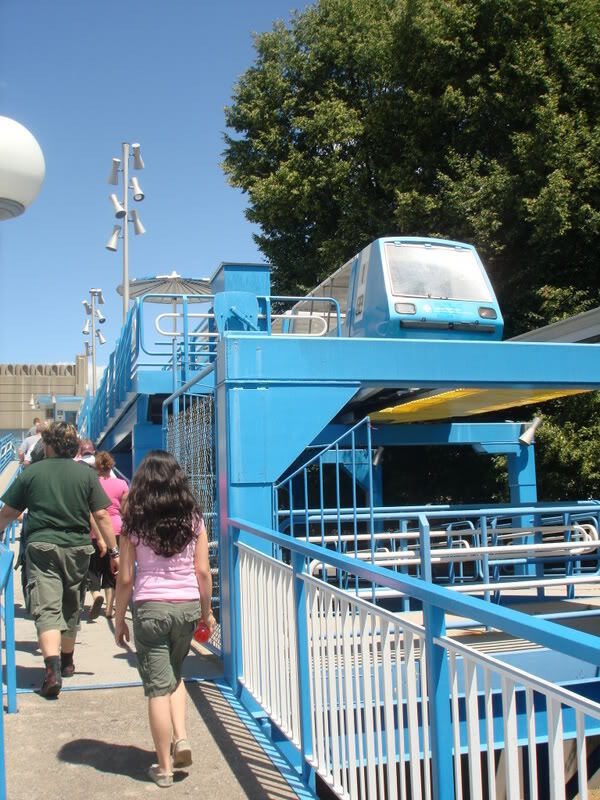 Most guests ride the SkyRush, Comet and Great Bear first. Skip those rides until later and go directly to Fahrenheit. •Ride Fahrenheit/Laff Trakk/Storm Runner/Sidewinder next. 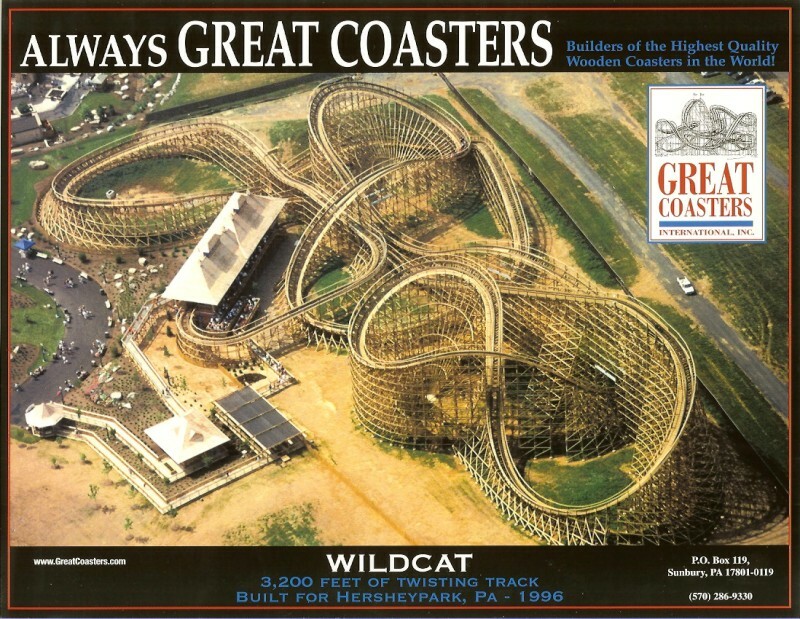 •Go to the Wildcat and then Wild Mouse. •Ride Lightning Racer while you are out in Midway America (ride this as many times as you can/want as it is high capacity and has short waiting times). •Trailblazer is a good family option. Make sure you have an entertainment schedule and stay away from the ride when the Aquatheater shows end. •The line for Skyrush becomes more manageable after lunch. Ride Great Bear and Comet during the dinner hour (stay away from the Comet at the end of the night as everyone in the park wants to get a last ride on the "white coaster" before leaving). •Skip the Great Bear and Comet and proceed to the back of the park. Keep an eye on the weather. 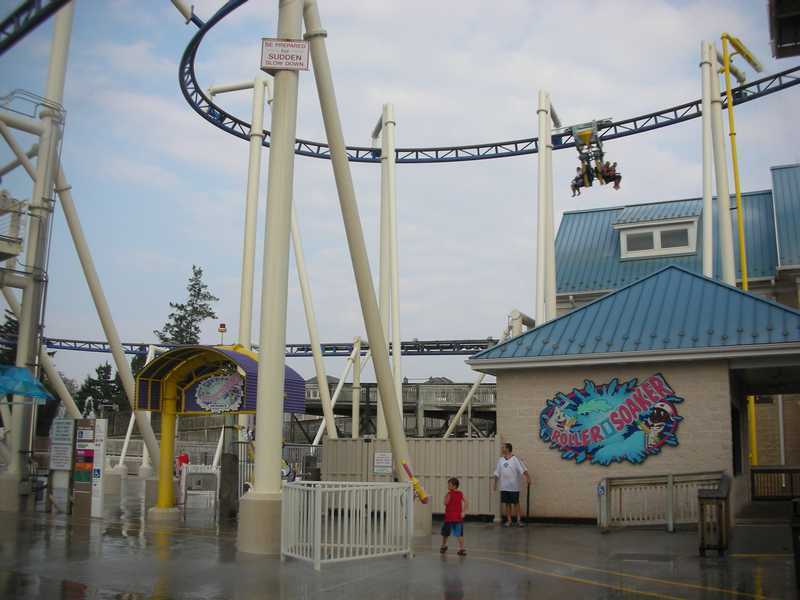 If it starts to drizzle Fahrenheit and Storm Runner will shut down. Most people will leave the queue lines at those rides when they shut down. This is a good time to get in the queue (check your cell first or stop by a guest-services location to get a radar update to make sure that the precipitation is not going to last hours). 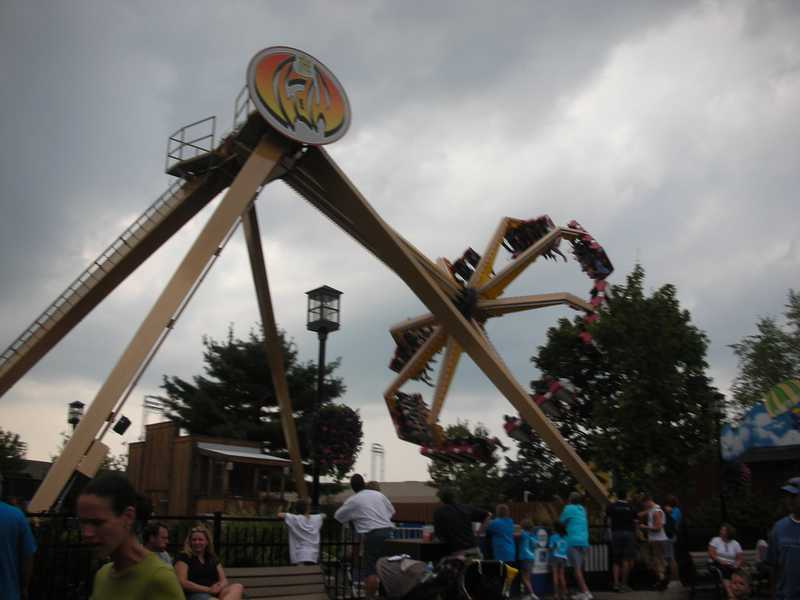 •During severe weather most if not all rides will shut down. Coasters are the last to re-open, but the queues will be empty. 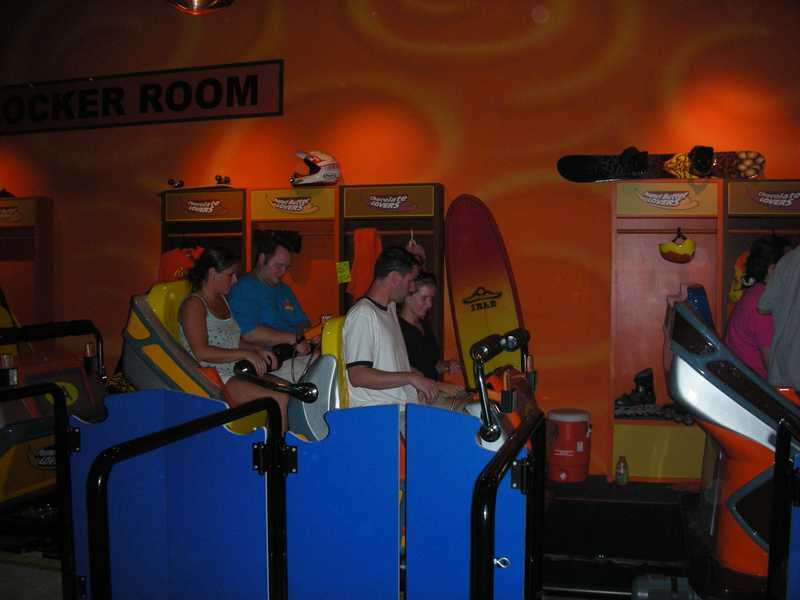 Find a safe place to wait out the storm in a building near the entrance of the coaster you want to ride. When it opens, you can get right in line. Triple Tower, Howler, and Claw are the most best flat rides. 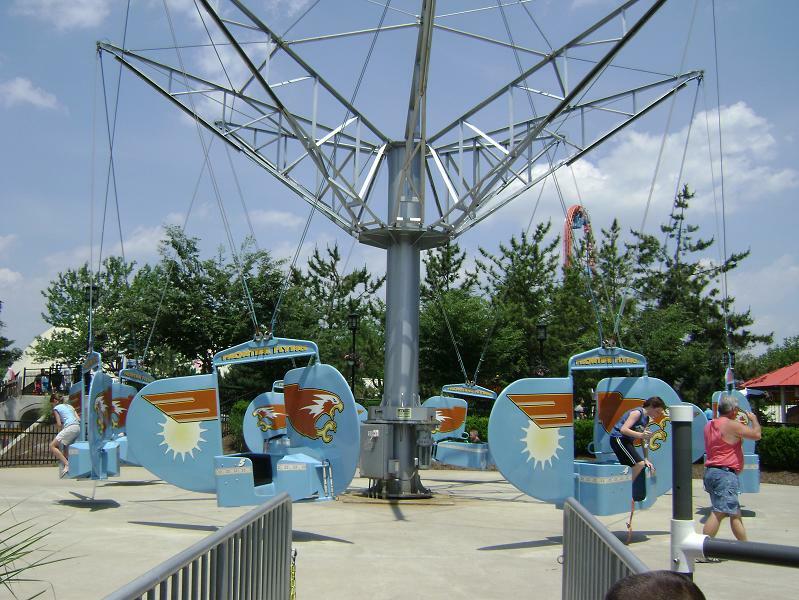 Lines can become very long for popular family rides: Coal Cracker, Frontier Flyers, and Turnpike. Included in park admission are the Boardwalk (water play area) and Zoo America if you want a break from the rides. There are a wide variety of options throughout the park, including a few fast-food chains (Chick-Fil-A, Nathan's, Subway, Chickie and Petes, and Famous Famiglia Pizza). Burgers and chicken fingers are the most popular items on many menus, but for a change of pace try Spring Creek Smokehouse (near Trailblazer) or Tumbleweed Tacos. Hersheypark Square in Tudor Square is the park's full-service restaurant. Some of the unique snacks at the park is a smores cart in Founders Circle and the Whoopie Pie stand. Before you leave the park you may want to buy a bag of kettle corn, some of the best around, and to further feed your sweet tooth, you can purchase Hershey products in bulk and ice cream at Chocolate World. Hersheypark is open for the summer season for weekends beginning in early May and daily from late May through Labor Day. They are also open for a few September weekends after Labor Day. 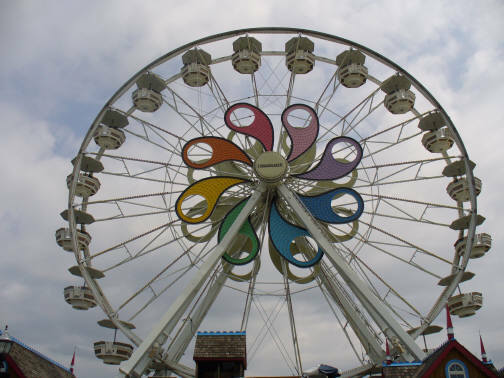 Springtime in the Park generally occurs for one weekend before the park begins the regular operating season. 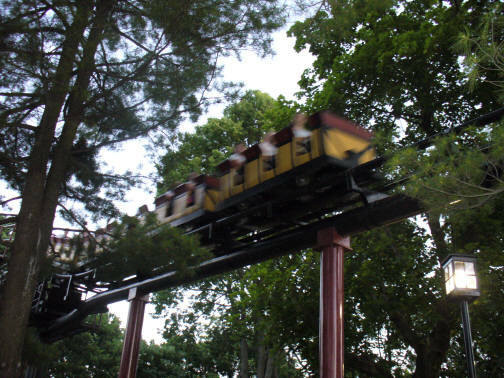 Ticket prices are discounted, but some rides may still not be ready for the season. Halloween in Hershey is a town-wide celebration of this "frightfully fun" season! 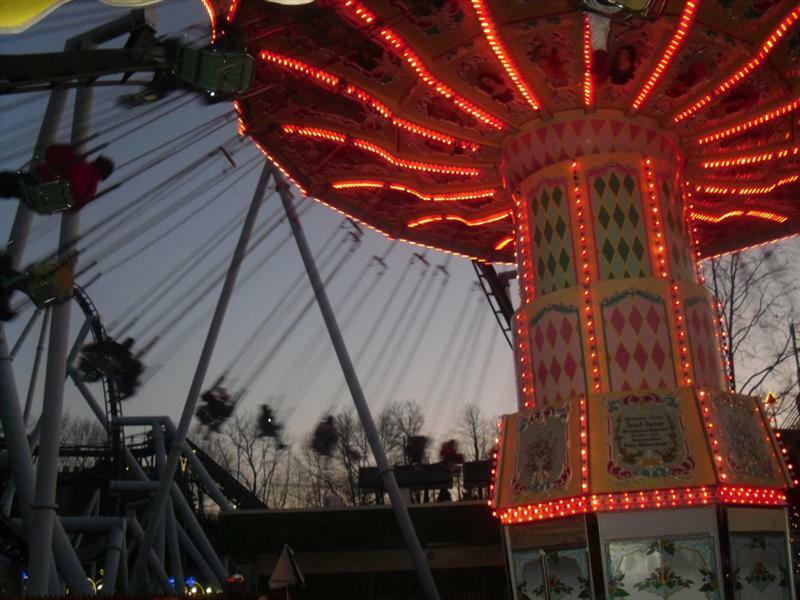 Hersheypark in the Dark features over 50 rides, including 10 exhilarating roller "ghosters" and dozens of family favorites like the Night Mares (Carrousel) and The sooperBOOperlooper! Between Thanksgiving and New Year's is the Christmas Candylane event. Holiday lights and decorations surround a very limited number of open family rides. From Baltimore: I-83N to York and Harrisburg. Near Harrisburg, continue on I-83N to 322E to Hershey. Exit at Hersheypark Drive/Route 39W. From Central New Jersey: I-95S to the Pennsylvania Turnpike (I-76). I-76W to Exit 266. Turn left onto 72N to 322W. Route 322 becomes Hersheypark Drive/Route 39W. From NYC: I-78W to I-81S. Take Exit 77 and follow Route 39S to Hershey. From Philadelphia: Schuykill Expressway (I-76W) to the Pennsylvania Turnpike (I-76). I-76W to Exit 266. Follow NJ directions above. Hershey offers three nearby options: Hotel Hershey (luxury accomodations), Hershey Lodge (premium pricing), and Hershey Highmeadow Campground. Rates tend to be higher for all motels in Hershey, and better deals can be found if you don't mind staying 15 miles away in Harrisburg. Arrive the night before and take advantage of the preview plan. Purchase your next day's ticket, and enter for 2 1/2 hours prior to the park closing. (Example: Arrive Sunday night after 7:30 PM and purchase or present your ticket for Monday--be a guest for no additional cost!) The preview plan is a great way for you to explore the park so that you can be prepared for your big day! Bonus! Pay to park in the evening, and the next day's parking is FREE. Musical shows are housed in two locations: Music Box Theatre and the Hershey Ampitheater. But there are also performances along Music Box Way and in the Hatfield Country Grill. Sea lions perfrom in two separate shows at the Aquatheater. 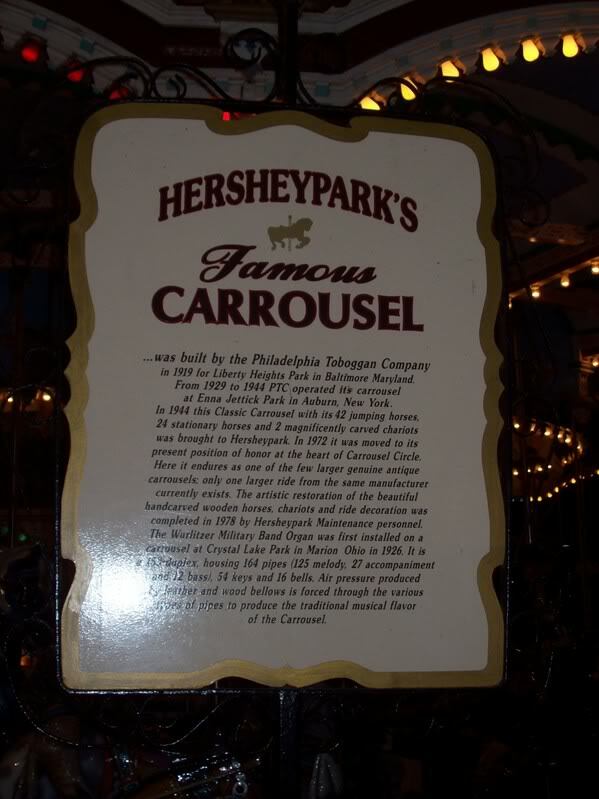 Over 100 years ago Milton Hershey created a simple park for his employees. Within the last 25 years management has turned turn this destination into a world-class amusement park. 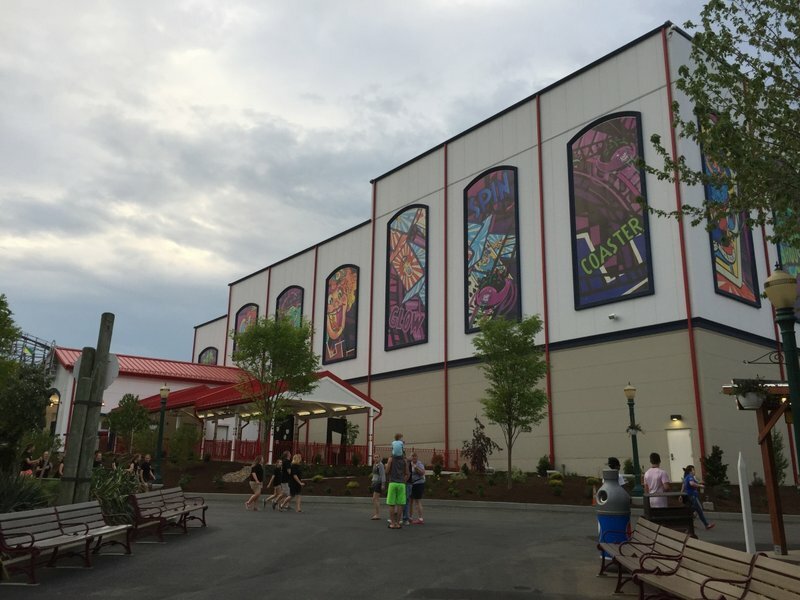 Hersheypark offers a diversified coaster lineup, varied assortment of flat rides, a couple of dark rides, a waterpark, and zoo all in one place. There is truly something for everyone. 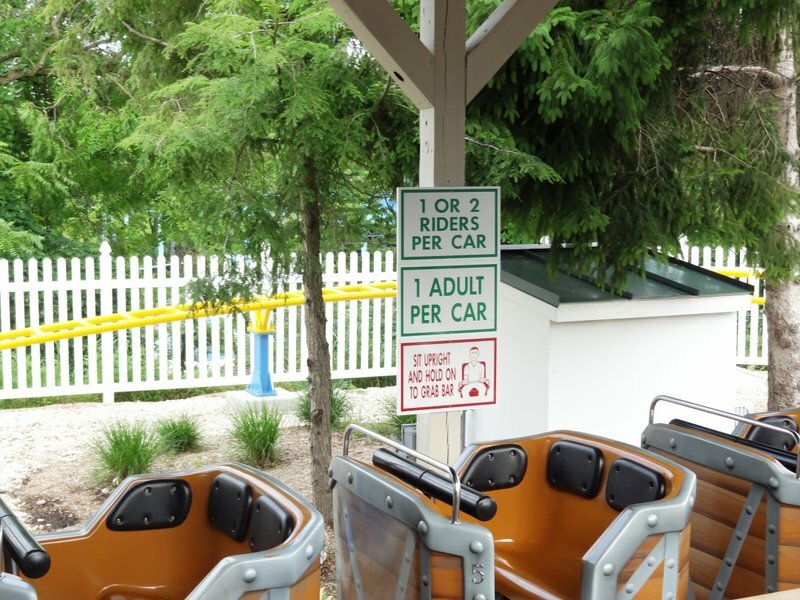 Children need to be 48" to ride the major coasters, but those that barely miss the cut can enjoy four coasters and most of the flat rides with an adult. It's been about 20 years since I was here last and mean has this park grown! Amazing collection of rides for everyone and the coasters are pretty sweet. When I first came here, it was because I was going to be in the area for another reason. I thought it was going to be a lame wood coaster and a bunch of chocolate, but man was I wrong! The coasters here are no joke! And the park is huge, I think there are 13 coasters here, and all of them are either the best of their kind or unique in some way. Stormrunner is #2 on my top coasters list being the only Intamin Xcelerator model in the U.S. with inversions. Farenheit is super smooth, and just narrowly misses the top ten. The food here is actually good too! And I don't mean just tolerable, I mean actually good! Go to this park, you won't regret it! Man, I love Hershey. If you're going for 1 day, make sure to take advantage of the park preview. Very nice and gives you extra time to ride stuff around the park! The coaster line up is awesome. There's lots of rides for everyone. The shows are cheesy, but hey-whatever. It's ok. The park makes it up in other way. The boardwalk is a very nice water park, with lots of cool attractions. Make sure to ride their wave rider ride there. And if you are more into chocolate, Hershey's chocolate world is also a lot of fun and is a cool place. If you're ever in Pennsylvania, you absolutely have to stop at Hersheypark! Visited Hershey for the first time and had a fantastic time. Easily one of the most diverse collection of coasters/rides I've ever seen at a park. Storm Runner, Skyrush, and Fahrenheit are my favorite coasters and the others are really good. While it's not a very big park, Hershey manages to pack so much into it. Lines for a busy Saturday were great with under 30 min waits for everything except Fahrenheit. While the theming isn't as Busch or Disney, it's still a beautiful park too. Skipped the Boardwalk because it was insanely crowded over there. 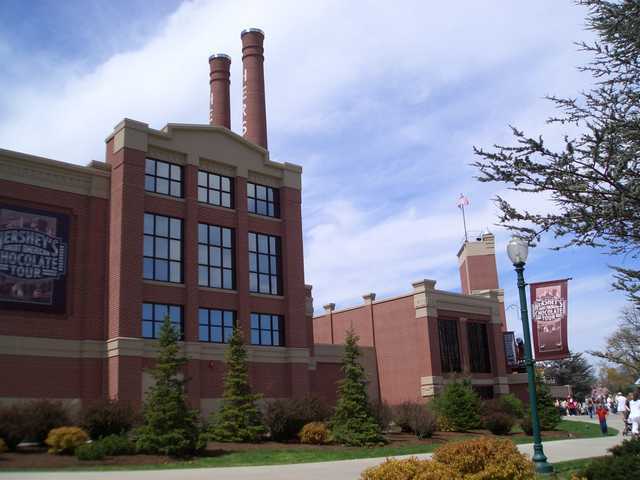 The Chocolate Factory tour is not to be missed either even if it is really cheesy. Overall an amazing park, despite being so small. 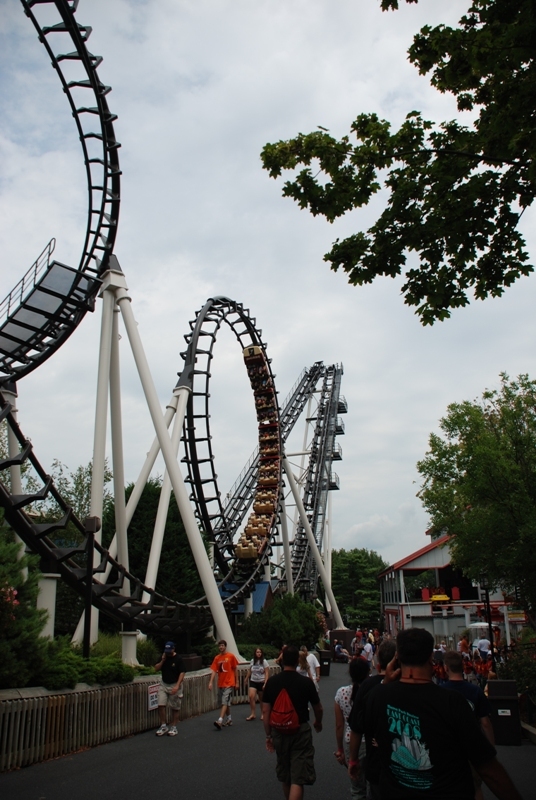 Hersheypark has a good mix of high thrills and family rides. Saturdays can be quite busy, but if you go Tuesday through Thursday, it is not as bad. 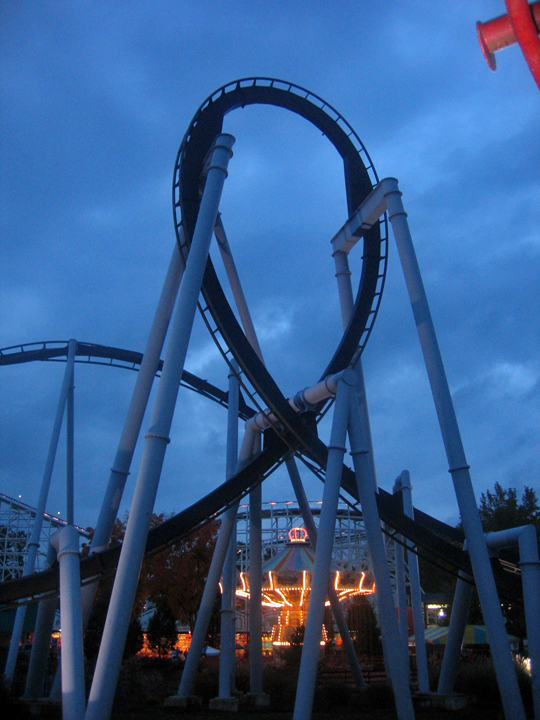 Hersheypark in the Dark is not to be missed, as there are less crowds and it's very well themed. The operations of this park are deplorable, many employees just seem miserable, and crowds can seem unmanageable, but I have too much love for this park that I cannot bring myself to rank it any less than four stars. I love the coasters, the atmosphere, the landscaping, how all the rides mingle, the entertainment, the food, the chocolate, and SKYRUSH! There is a lot to dread in a visit, but I found much more to look forward too. Hersheypark is truly a stellar amusement park! The park, first off, is beautiful, and lushly landscaped. The food is great with many options, and there's even a zoo included with admission. The ride selection is also quite fantastic, with rides to suit all tastes, both young and old. They also have a rather extensive waterpark. Hershey's calling card, however, is its superb coaster collection! Storm Runner is a great launch coaster with an actual layout. Lightning Racer is so much wonderful fun, and Great Bear is a unique invert that is a blast to ride. 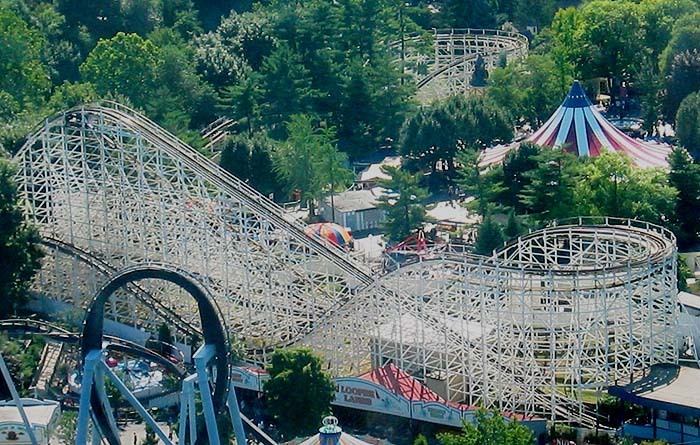 Add Skyrush to the mix in 2012, and you're looking at a pretty unbeatable lineup. Also, don't miss the old favorite Sooperdooperlooper. Hershey is the definition of must-visit! 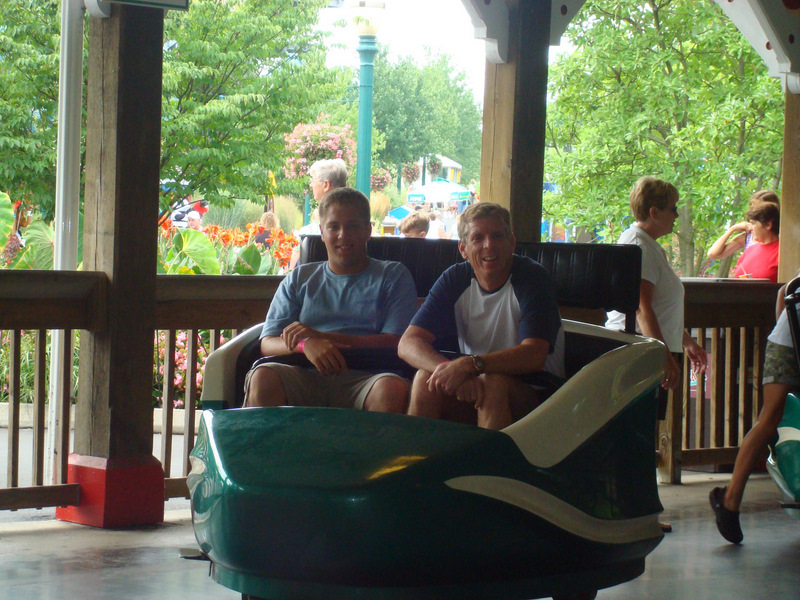 Hersheypark is a great place to visit for the rides, the atmosphere, and the great customer service. The coasters and rides here appealed to the vast range of my family with whom I visited...from the kids who enjoyed Roller Soaker and more, to myself as a coaster enthusiast. And I'm certain that we ALL enjoyed the chocolate as well. Not only will you get some Hershey's Chocolate, you will get a good time and leave feeling like you got your money's worth. The park has some nice flats and a few really good coasters like Lighting Racer. The food is also not that bad, but expect theme park pricing. The chocolate tour is worth a ride thru and why not make your chocolate bar while you are at. All in all, it's a good amusement park. Hersheypark is truly one of the best amusement parks in America. It has a great collection of coasters with everything from a wild mouse, to an intense launched steel monster (Storm Runner), to a classic woodie (Comet), and an incredibly fun dueling racing wooden coaster (Lightning Racer). The park also has a lot of charm and a nostalgic feel. 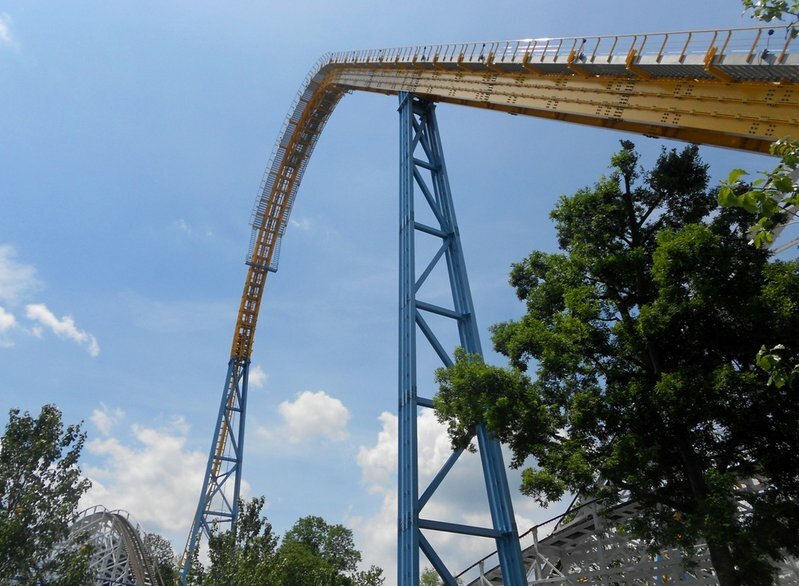 Skyrush next season should add to the incredible lineup and make the park a must visit for an coaster fan in 2012. This park is amazing. It has a great family friendly atmosphere, and there seems to be something for everyone. The chocolate theme that continues through out the park is outstanding. Stormrunner in itself makes the trip worth it. 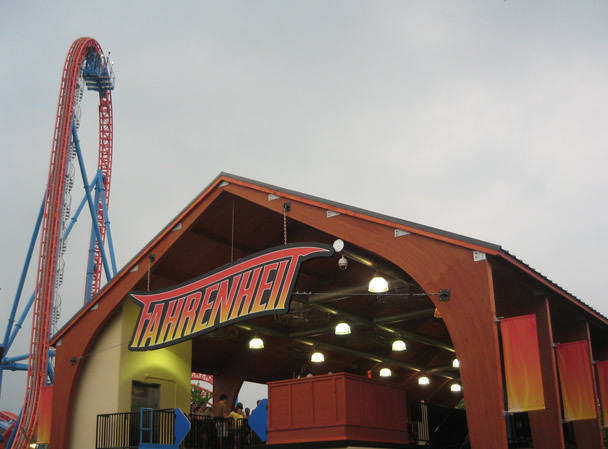 Fahrenheit is also a great coaster, and the line moves rather quickly. This park is definitely worth an out of the way trip. 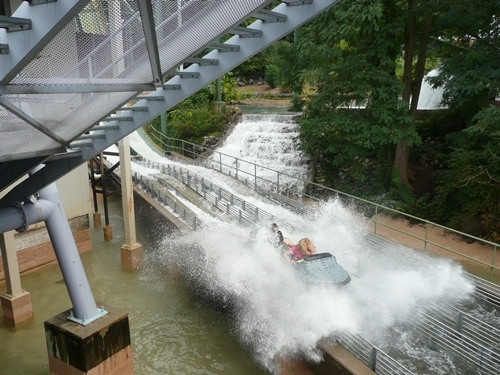 The whole ambiance of being at Hershey Park alone gives this park 3 stars, followed by its impressive selection of roller coasters, overall friendliness of the staff, and their genius ability to cram all those roller coasters into the park and even throw in a zoo for when you feel sick from riding coasters all day. Favorite ride here is definitely Storm Runner, followed by Fahrenheit being a close second. This is a great park for the family. 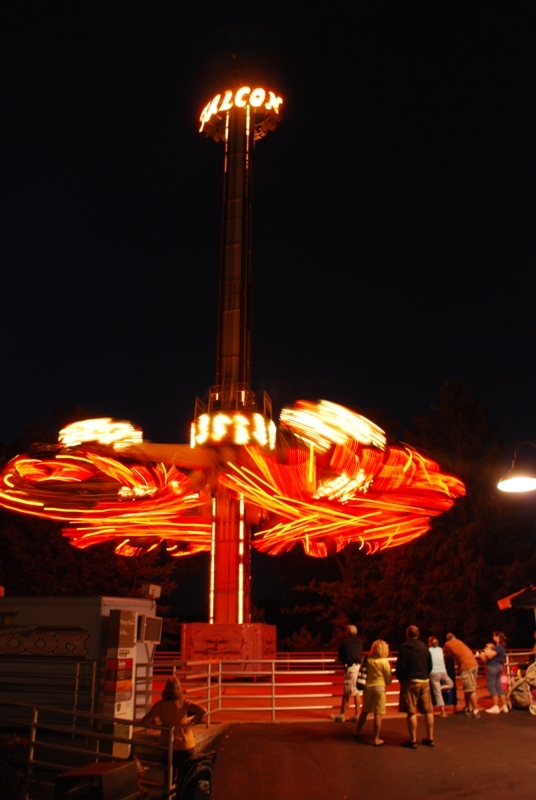 Tons of family and kiddie rides plus a small selection of good coasters. The must-ride here is Stormrunner. They have lots of candy and chocolate for sale which makes it almost impossible to walk through and not get a craving. The waterpark is amazing and ZooAmerica is an adventurous experience(plus their both free with park admission!). Fun park thats good for the whole crowd. Don't get me wrong - the park has some great coasters. But, I guess I set my expectations too high - I was expecting something similar to Busch Gardens or Disneyland in terms of theming. Disney parks seem to have a universal theme, and that's what I thought Hershey would have - rides/buildings/games/attractions themed to chocolate and candy. No. Instead, it was just a clean 'amusement' park with some pretty good rides. The chocolate 'factory' is cool, but is VERY touristy, so, if you're not a people person, don't bother going there. The employees were all very nice,and the operations were very good. But, in terms of being a 'themed' park, it did not quite deliver. The park has a very good selection of coasters, including Storm Runner, Fahrenheit and Lightning Racer. Chocolate World is a must visit as well. The Dark Ride must be experienced. Obviously this place is a chocolate lover's dream. Great park for the whole family. The park does get pretty crowded and it didn't quite do enough to warrant a really high score, but it's still a great place. 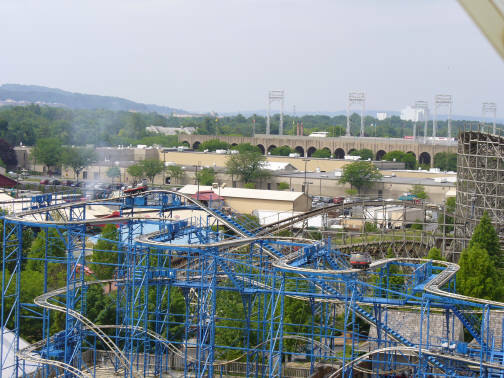 Hersheypark is a nice place to visit, but isn't quite an amazing park. Its coasters look impressive, bu nearly all share a common fault- they're short. 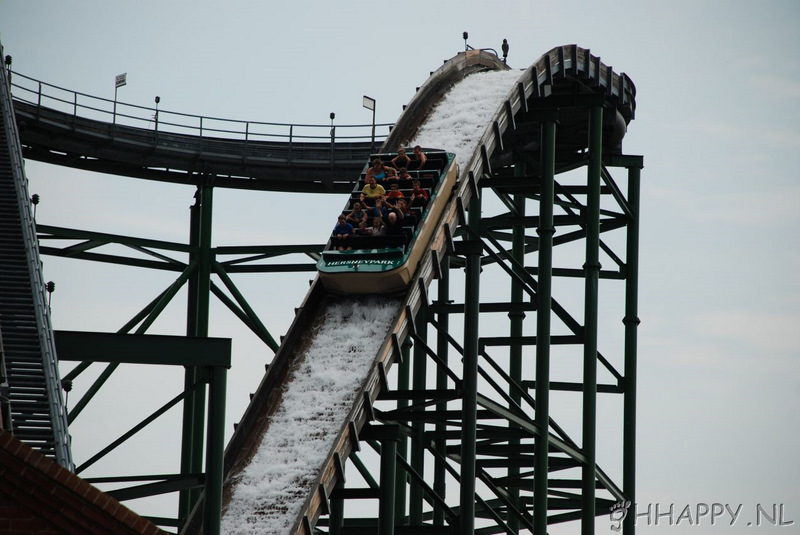 Great Bear and Stormrunner in particular are great rides that seem to end much too quickly. There are plenty of nice flats outside, and a very interesting shooting dark ride. Operations are alright. Food is pretty good, and there are some shows around. Landscaping is very nice, and there is an included zoo. Walkaround chocolate bars are pretty awesome too. At Chocolate World right outside there's also a nice "factory tour" complete with free sample and a shop with more chocolate than you could ever imagine. Christmas event has many nice light displays, and some flats run too! I like Hersheypark a lot. Its coaster selection is solid; the food is quite good; the grounds are attractive; the staff is nice; and it has Chocolate World. Yet it seems just a little shy of being great (just very good). 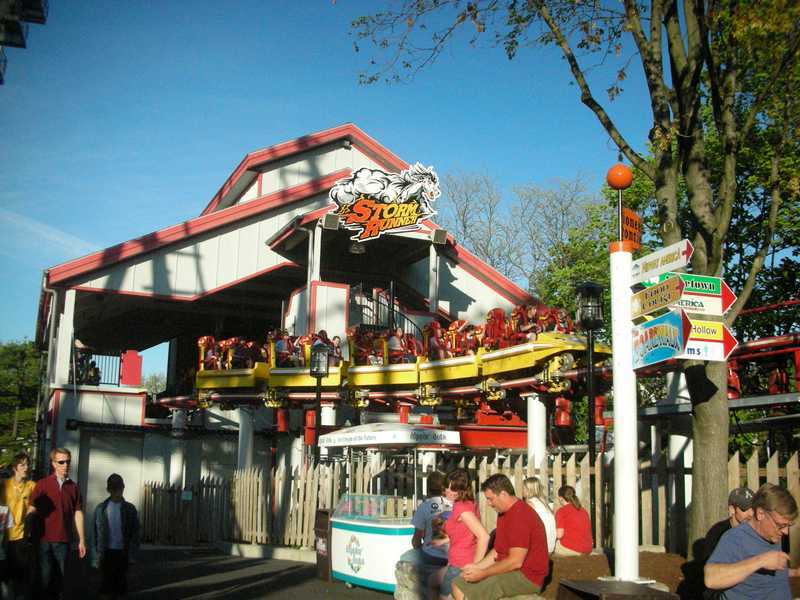 Maybe because aside from the excellent Lightning Racer, there isn't a real "standout" ride here (perhaps Skyrush will help in 2012). That being said, the park is quite enjoyable and doesn't feel "generic" like so many Six Flags and Cedar Fair parks--definitely worth your time and a "must" if you're visiting Pennsylvania (along with Knoebels). Their food offerings are very good, too--particularly the outrageous smores. Preview Plan available allowing free admission the night before your visit. Included Chocolate World, Zoo, and Water Park really add value to your day. Big concert venue at the park that can lead to insane crowds.